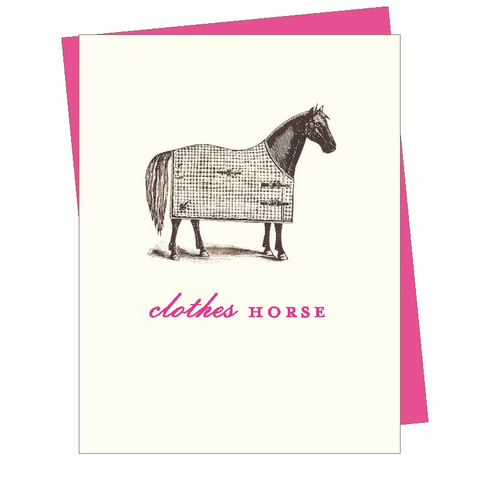 The outside text of this card "Clothes Horse" is paired with a vintage illustration of a horse wearing a stylish blanket.. For the literal-minded fashionista. Blank inside. Accompanied by a hot pink envelope. Also available as note cards or as a print.